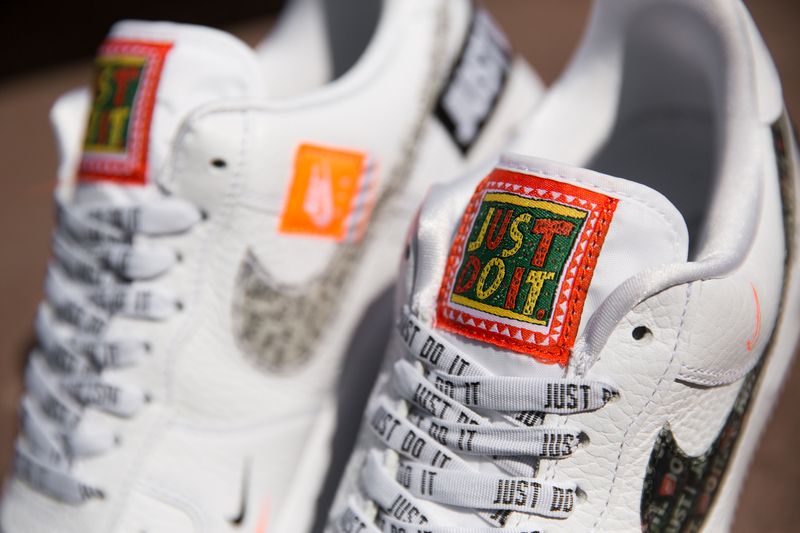 Immediately recognisable to all Swoosh aficionados, Nike’s ‘Just Do It’ trademark is more than a catchy tag-line, the ‘Just Do It’ slogan has become an icon within the brand. 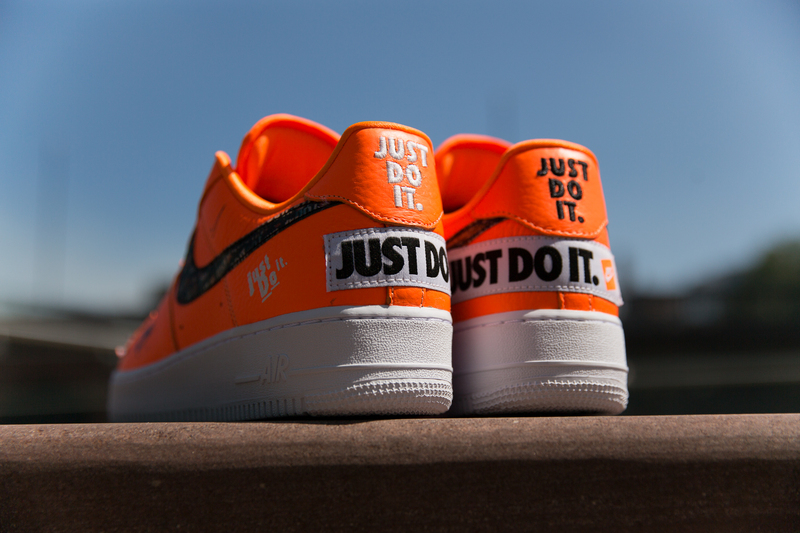 Synonymous with Nike throughout the last three decades, their famous ‘Just Do It’ trademark was originally coined in 1988 and has been featured across a range of media on some of the brands most well-loved ad campaigns, with athletes such as Wayne Rooney, Kobe Bryant and Serena Williams all starring in varied, far-reaching, inventive advertisements. 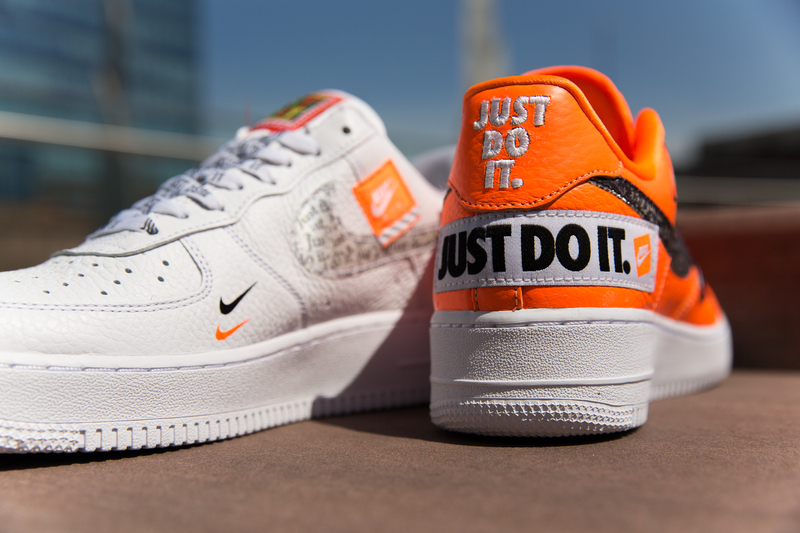 To celebrate 30 years of their famous tag-line Nike are releasing the ‘Just Do It’ pack. 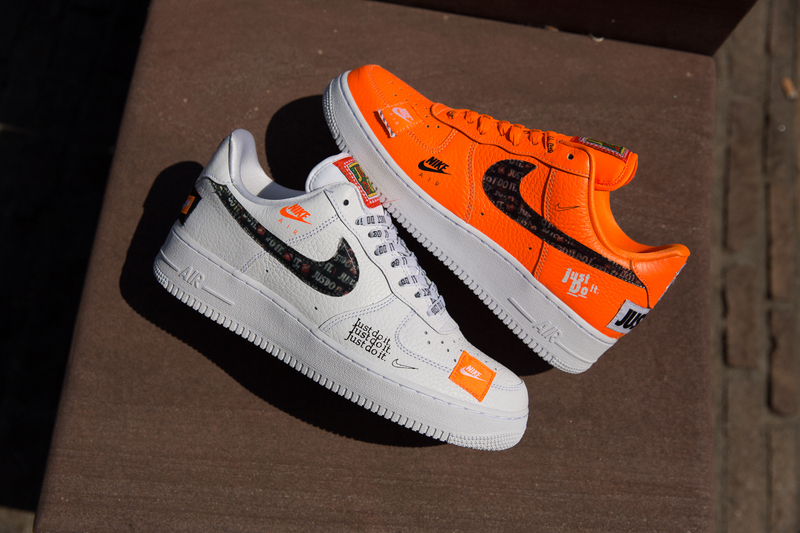 The pack will consist of a host of the brands most iconic silhouettes, with each silhouette featuring the legendary type embroidered and stamped across the sidewalls, toe box and heel. 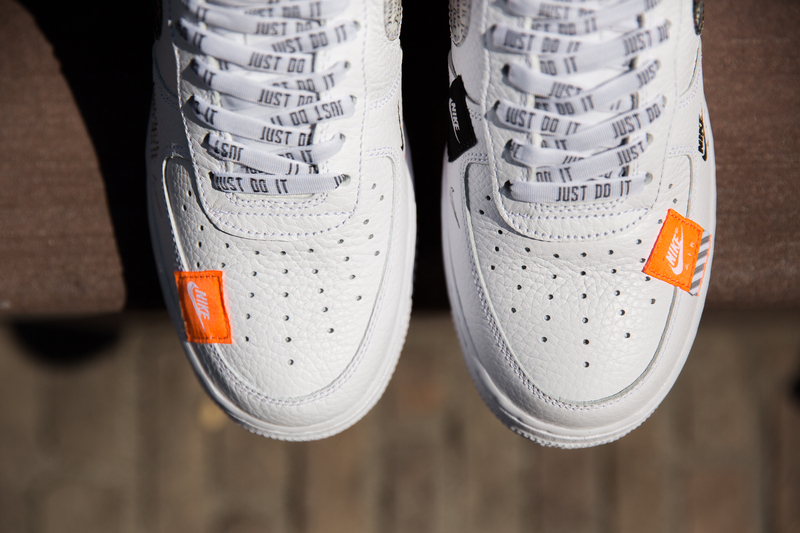 Constructed from premium, tumbled leather and available in contrasting white/orange and orange/white colour options, the classic tag features prominently across the latest Air Force 1 rendition. 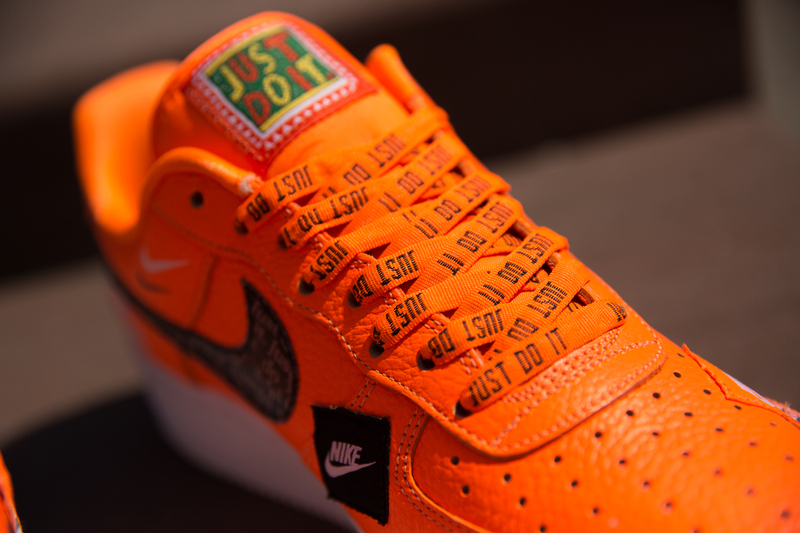 The ‘Just Do It’ slogan is embroidered into the toe box and stamped across the tongue and heel. 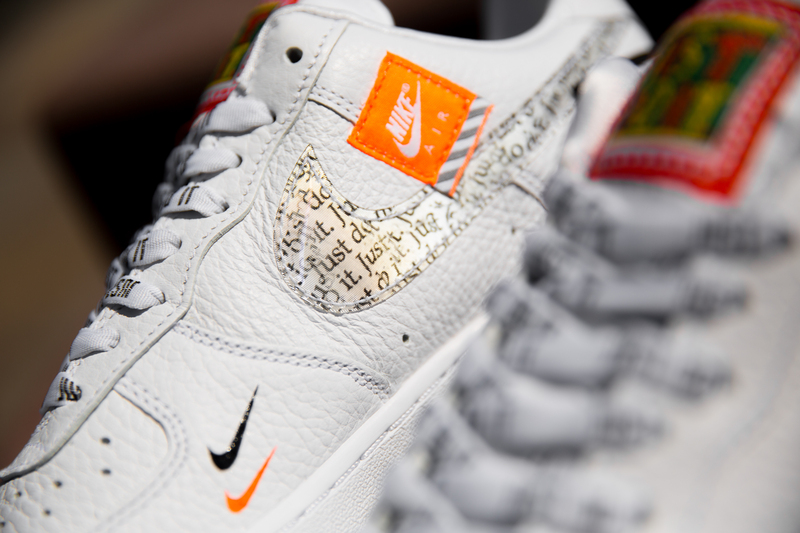 The branding is also featured on each of the colour options’ contrasting laces. 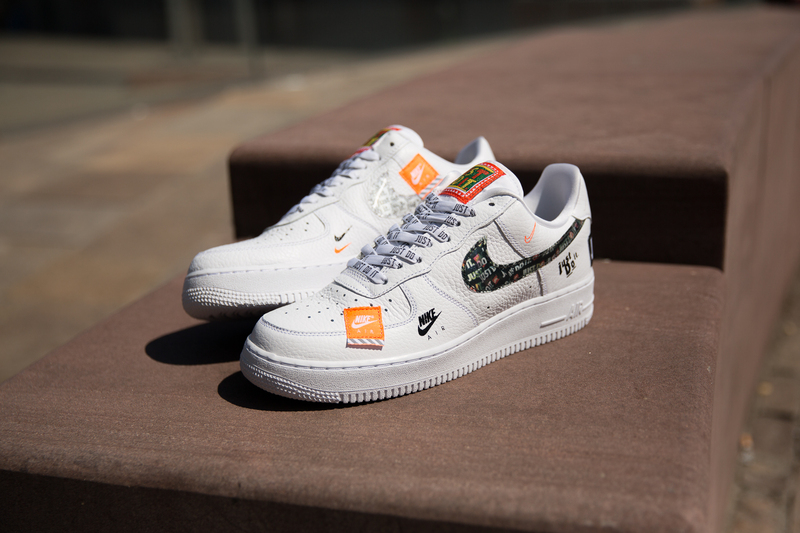 Alongside the iconic type, the both silhouettes feature mini swooshes on the mudguard, as well a reflective mid swoosh. 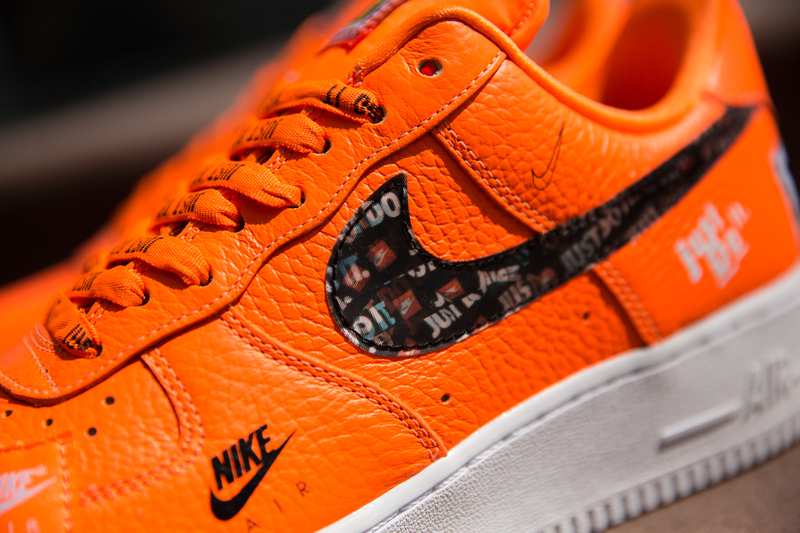 The ‘Just Do It’ Nike Air Force 1 is available online and in selected size? stores now, priced at £115.